Before you add that payment button or products or services to your website, make sure your website has the proper prerequisites in place. Payment aggregators won’t help you with this due to their rushed on-boarding process. 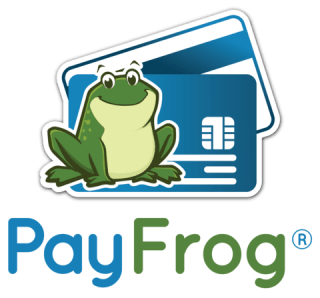 But at PayFrog, we work with true merchant account providers who watch your back. Here’s the eCommerce website requirements from underwriting for you to check off. A full refund? Or a % based refund due to a restocking fee? Or % refund for all unused services? A refund back to the customer’s credit card, or just a store credit? Or maybe no refunds or exchanges at all under any circumstances? When do you issue refunds? If requested by customer within 15 days? 30 days? 1 year? When the customer has proof of purchase (receipt)? When the product/packaging in unopened and unused? When services have not yet been rendered? How are your refunds processed? Do customer’s need to return in person to a store location? Do they return ship merchandise to an address? Which address? Who pays for return shipping? The customer or the business? What do they need to include with the shipment? A receipt? A return merchandise authorization (RMA)? Do customers need a number to call, or an email to send, or an online refund request form to initiate the refund request? In how many days can the customer expect to receive a refund once initiating the return? Make sure your business isn’t making these return policy mistakes. Your payment processor will enforce your return policy if you have any cardholder disputes, so be sure your posted refund policy is as strict as it needs to be, and you can always make exceptions later if you would like to be more lenient with an unhappy customer. How will you deliver/ship your products? Via which shipping carriers? Fedex? UPS? USPS? How fast is the shipping? Ground? Overnight? Is signature required upon delivery? (recommended for high value items) Or is it OK for your products being sitting unguarded on a doorstep somewhere? Who can sign? Anyone including children and neighbors? The cardholder only? How will you fulfill your services? In person, over the phone, or on your website? At your place of business or the customer’s home/place of business or on the go (mobile)? Over 1 visit or multiple visits? Do the services expire after a period of time? Are you adding a simple payment button for customers to enter a custom amount when they owe you money? This can be a great way to keep your accounts receivable open 24/7 and save staff members’ time from taking calls during business hours from customers wishing to pay a bill. Service pictures can be helpful but are not required. What are you doing with your customer’s information? Sharing it internally with people in your organization? Sharing it with 3rd parties on a need to know basis? Selling it to 3rd parties for marketing purposes? An SSL is something every secure website uses to automatically encrypt private information like passwords and credit card numbers. It’s it’s recommended for all pages on your site. At a minimum, you’ll need an SSL for the most important page on your site…the checkout. Website domain must be registered to company in the U.S.
Payment processing underwriters want it to be clear as day to your customers what the transactions are for. If there is any confusion about it, your business might experience disgruntled customers and unnecessary disputes and chargebacks. Remember, no merchant or processor likes dealing with chargebacks. Regarding eCommerce website requirements from underwriting, these may seem obvious, but you’d be surprised how many online merchants are so excited to get up and running that they forget the legal necessities! Who makes these underwriting rules anyway? Well, most underwriters have the same basics in their list of requirements, but you should take a look at the Electronic Transaction Association’s guidelines. Speaking of the ETA, did you know only some payments reps are ETA Certified Payment Professionals? You can check out merchant services sales reps to see if they are certified or not on the ETA Certified Payment Professional Registry. If you have any questions about these requirements, you should speak to an ETA CPP as soon as possible.